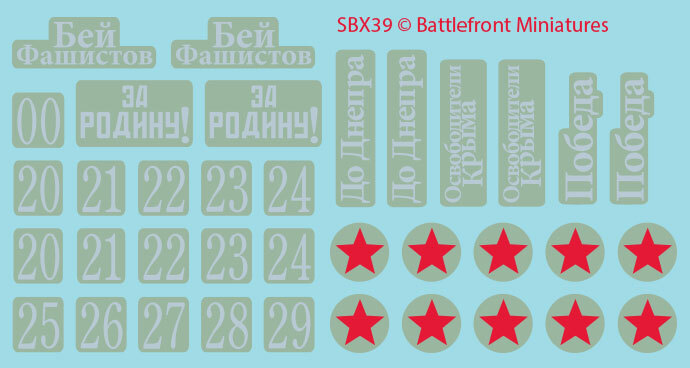 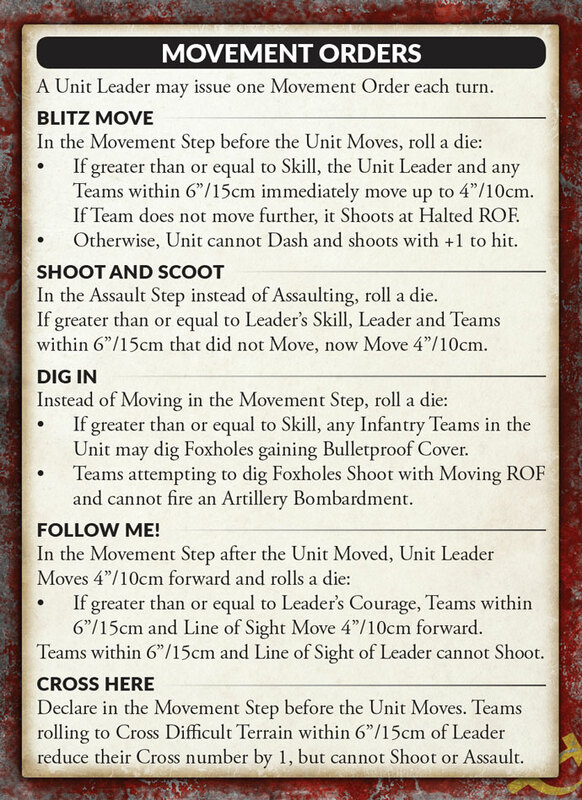 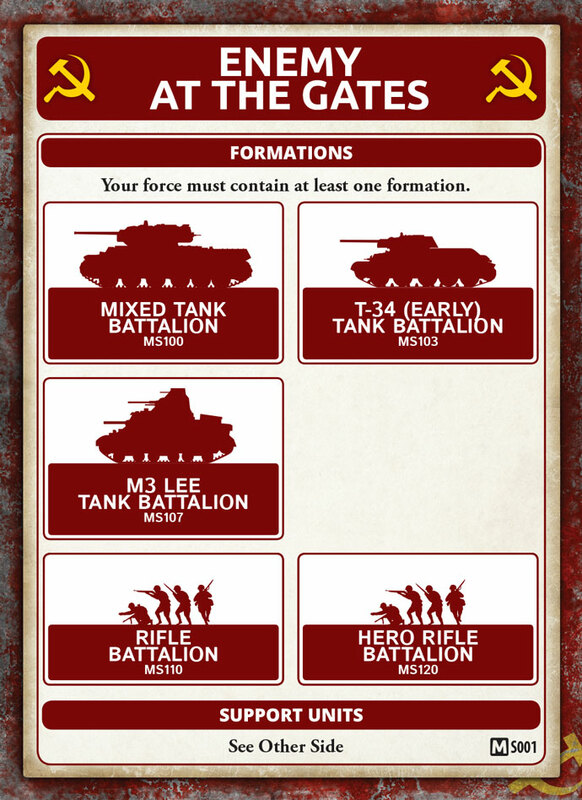 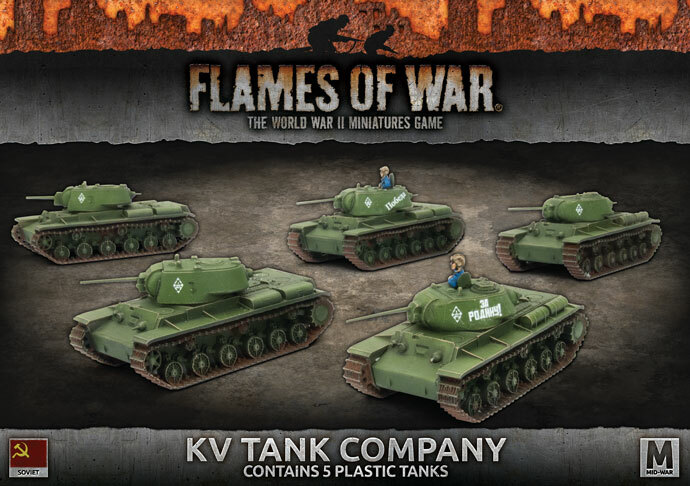 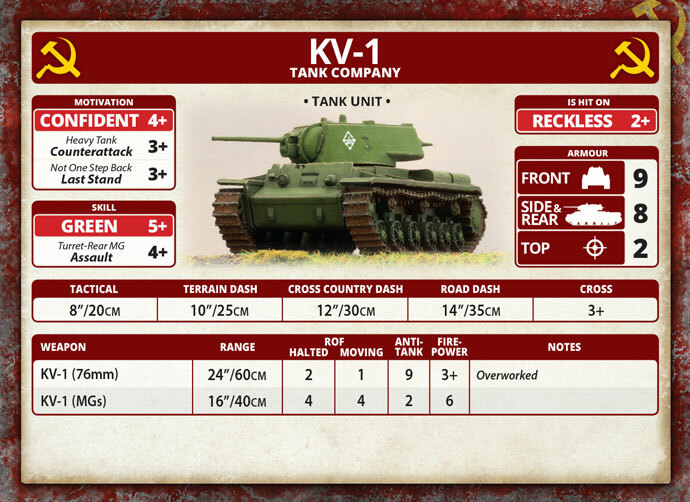 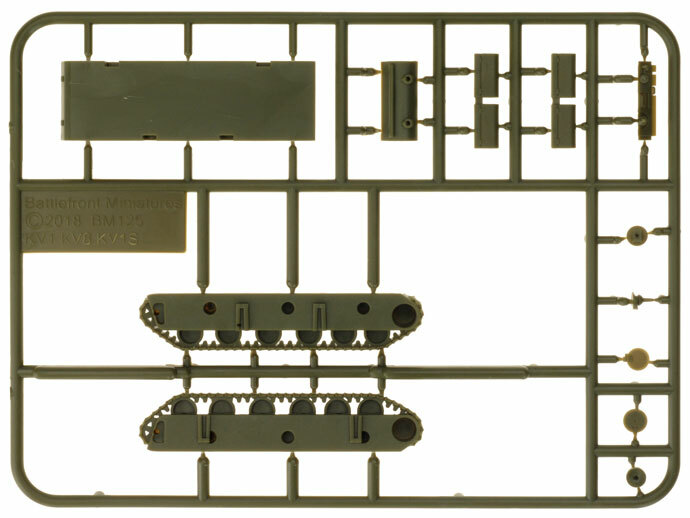 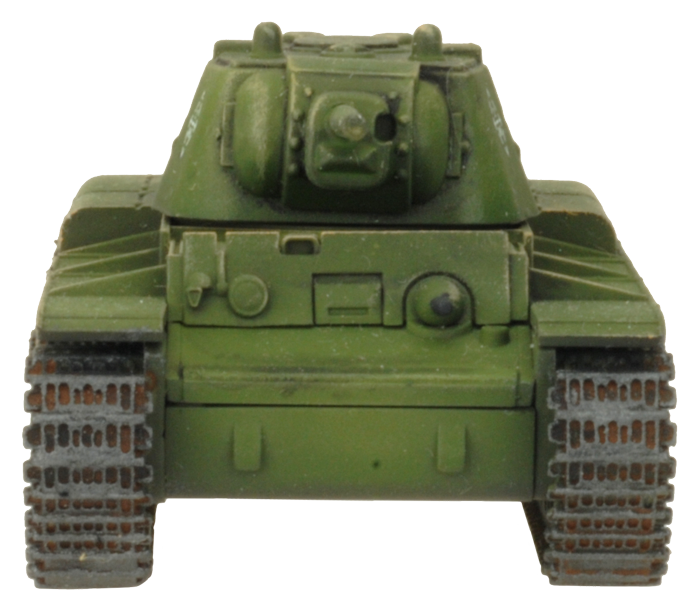 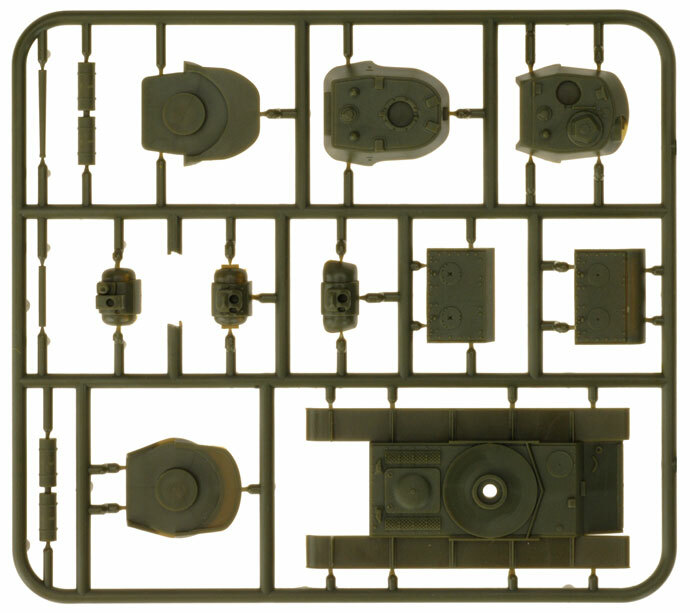 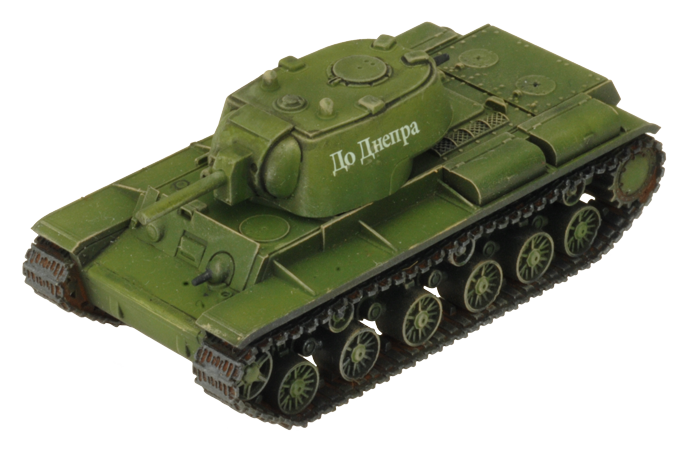 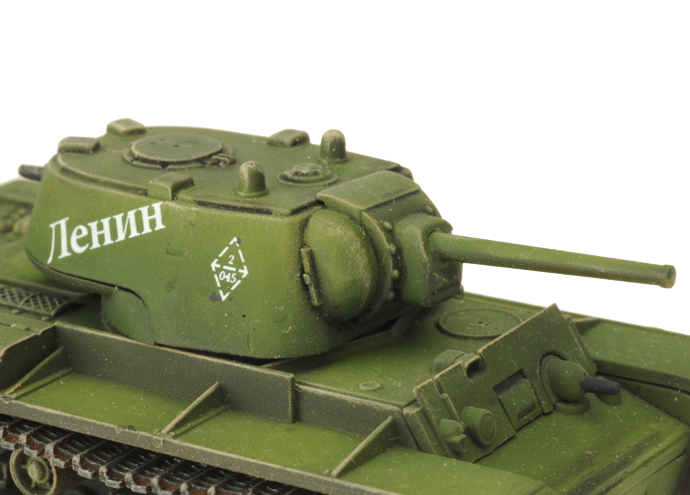 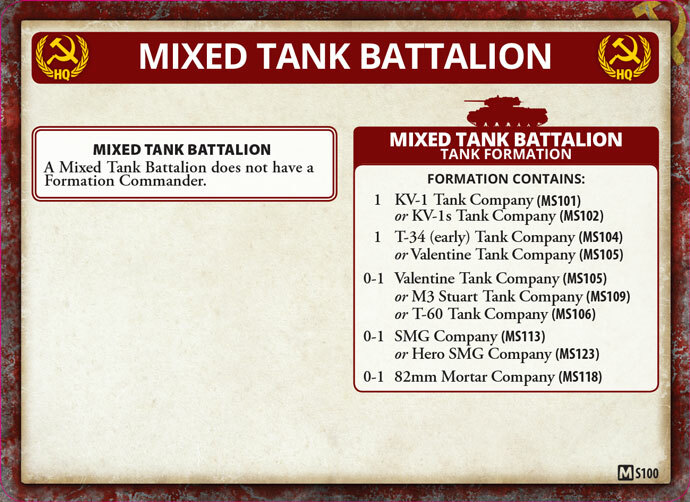 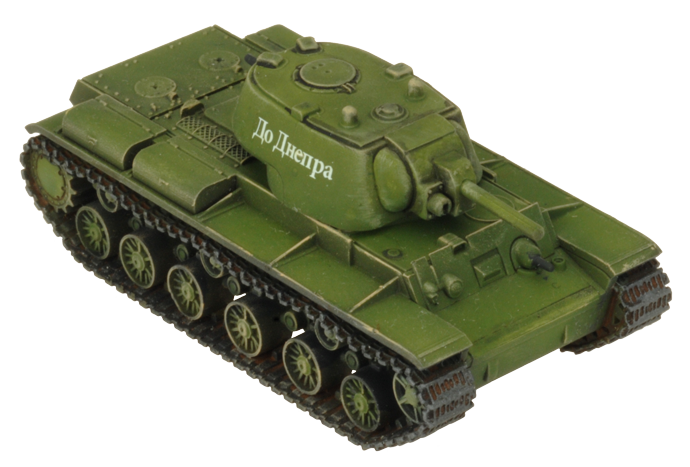 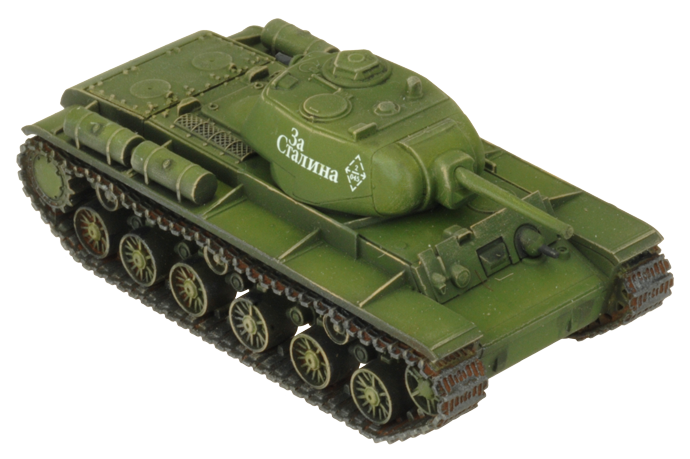 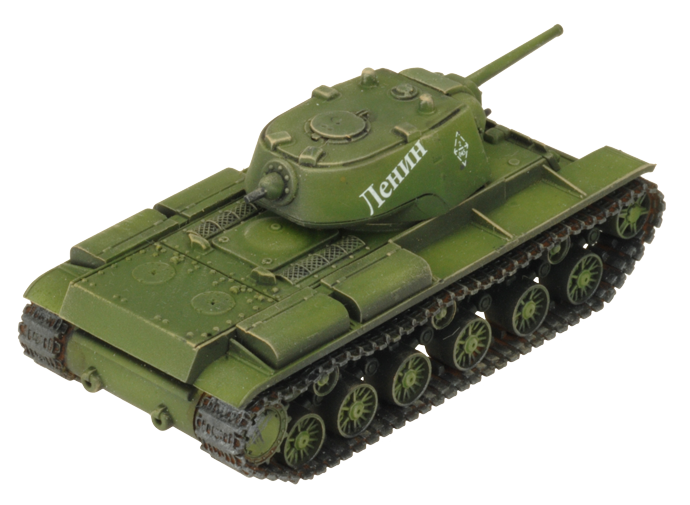 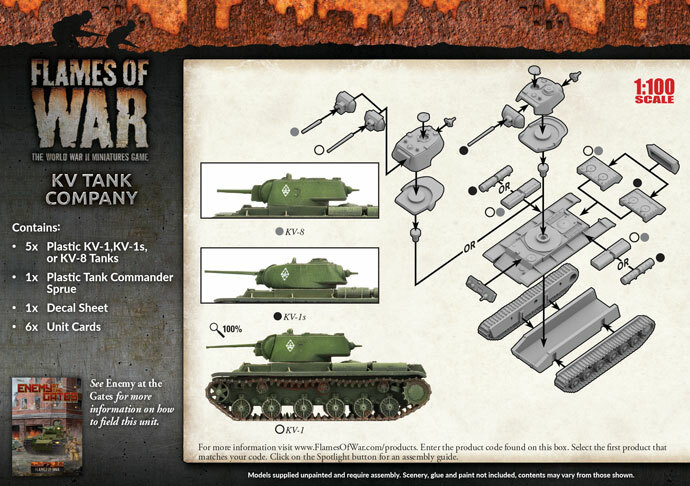 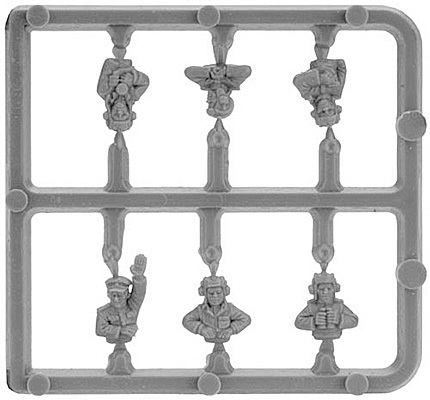 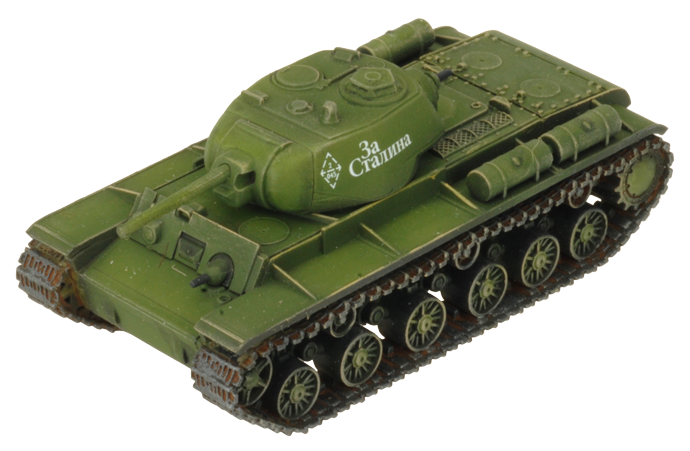 includes five plastic KV-1,KV-1S or KV-8 tanks, one plastic Tank Commander sprue, one Decal sheet and six Unit Cards. 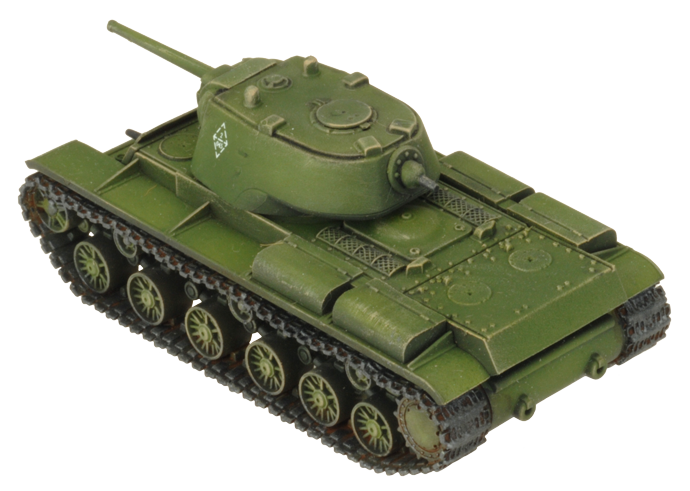 While it proved to be tough, the low speed of the KV-1 prevented it from operating effectively with other tank types. 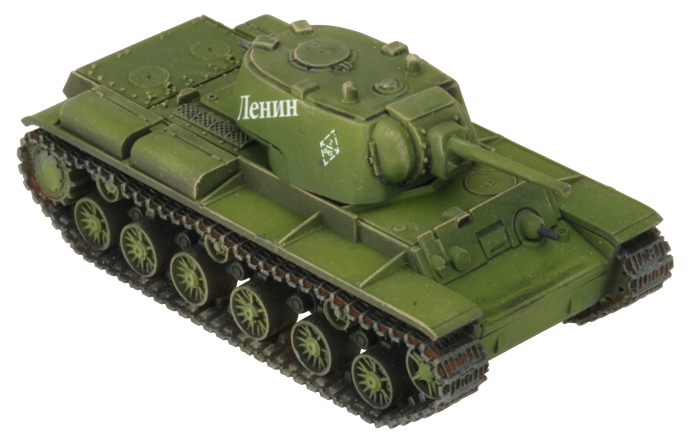 The KV-1s (s for skorostnoy, or high-speed) reduced the tank's armour and used a better transmission to make this heavy tank faster than most medium tanks. 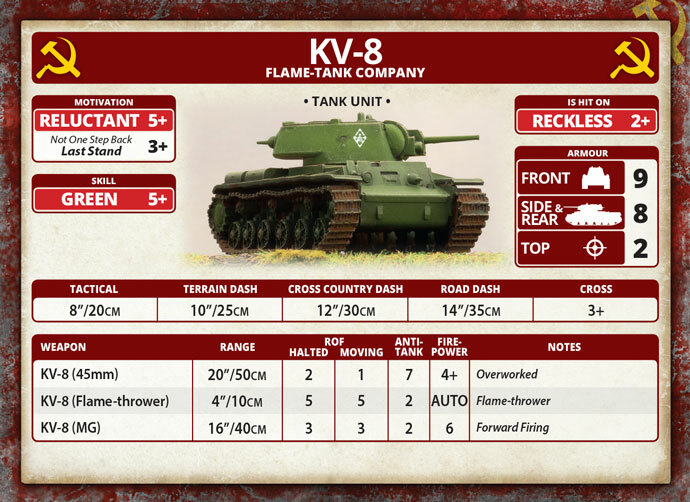 The Red Army developed flame-tanks before the war to assist their infantry to overrun and destroy enemy positions. 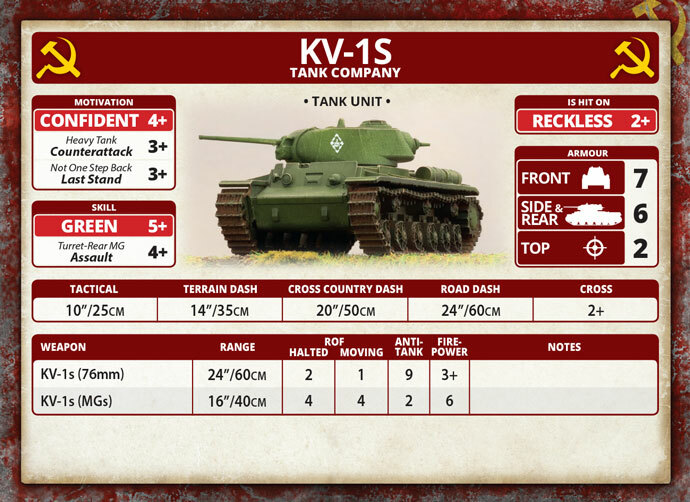 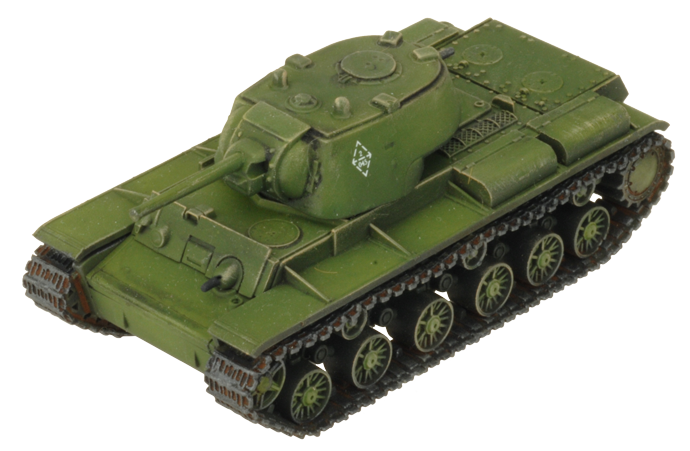 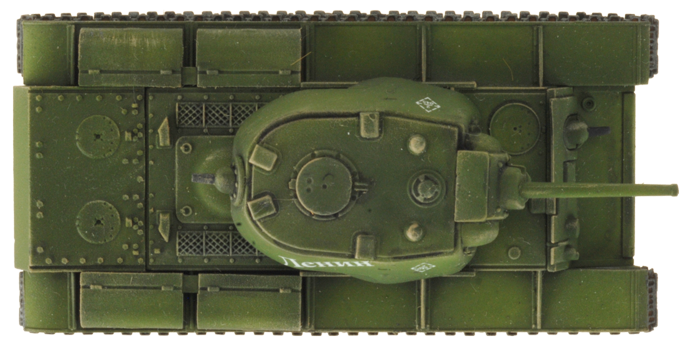 The KV-8 was the latest and toughest in this long lineage. 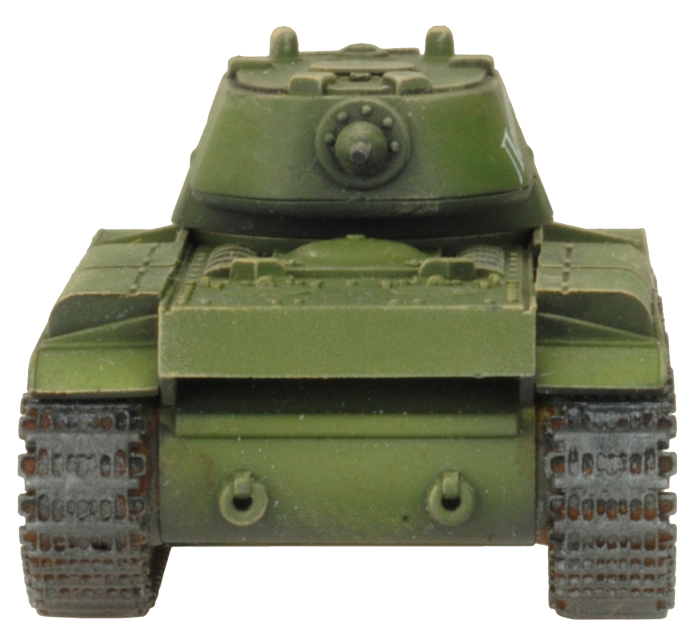 It mounted an ATO-41 flame-thrower in the turret in place of the machine-gun, with a smaller 45mm gun replacing the 76mm gun to make space.